This is a workbook of the film "Strandbeesten", a portrait of the dutch artist Theo Jansen. Marcio, member of the Strandbeesten team and the composer of the film music, has recently received a Grammy Award. I am very proud to have a Grammy Award winner in my team! 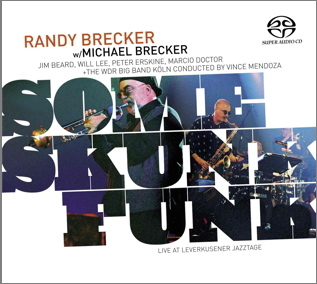 Marcio, composer and percussionist, played as a soloist for the Randy Brecker/Michael Brecker album "Some skunk Funk". I just saw footage of your incredible creations via digg.com. I am truly awe- struck by your creative genius. Keep up your fascinating work! I look forward to seeing more of your creations! Wow, regardless of the sound quality, the shooting is very good. Watching the trailer i could hear Moby's "God Moving over the face of the water" as the background music. (just a thought).